Your “Simpsons” music was just performed the TV Academy’s Score! concert. What was it like to hear it live? I love that you chose “Stonecutters Song” from “Homer the Great” – a personal favorite of mine. Whose idea was it to change the lyric from “Who makes Steve Guttenberg a star” to “Kim Kardashian”? 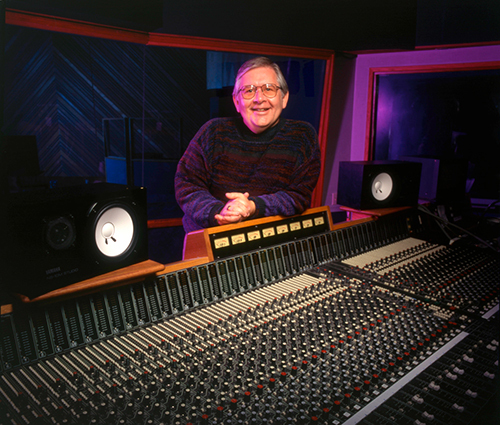 This entry was posted in All News and tagged #listenLA, Alf Clausen, composer, interview, Listen LA, Simpsons, The Bridge, TV Music on June 16, 2014 by admin.